Amgen Inc. and Harvard Pilgrim Health Care have agreed to a pay-for-performance plan for the new cholesterol drug Repatha, the provider announced November 9, 2015. Repatha (evolocumab) was approved by the Food and Drug Administration in August for use in certain patients whose high levels of LDL, or bad cholesterol, have not responded to dietary and drug interventions. 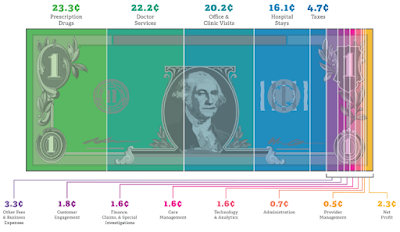 At full price the drug costs $14,100 per year. Harvard Pilgrim Health Care (HPHC), which serves New England, estimates that 1 percent of its members will be eligible to take the drug, Joan Fallon, HPHC spokeswoman, told Bloomberg BNA in an interview Nov. 10. The health plan negotiated three types of discounts for Repatha, Fallon said. HPHC will receive a discount simply for “preferring” Repatha, Fallon said. The health plan also will receive a rebate if the drug fails to lower the cholesterol in members to the degree indicated by the drug's clinical trials, Fallon said. Finally, if more members end up using the drug than was anticipated during negotiations, HPHC also will receive a rebate, Fallon said. 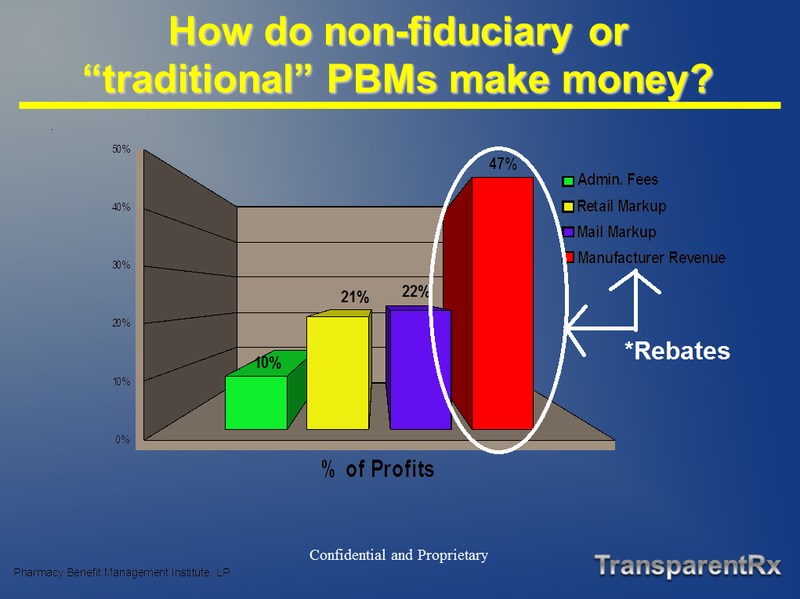 Tyrone's comment: The pay-for-performance (PFP) model is better for payers than the fee-for-service model, but traditional PBMs will still take advantage of loopholes in this pricing model in order to hide cash flow from third-party payers. 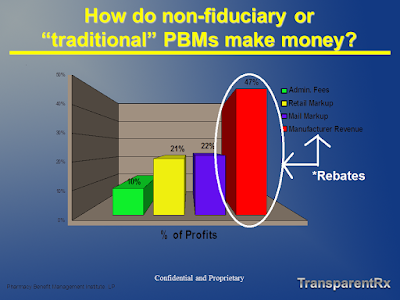 Download my white paper to better understand the flow of money and opaque tactics employed by PBMs to disguise rebates. Fallon declined to say how much the discount and rebates are worth and described that information as confidential aspects of its contract with Amgen. 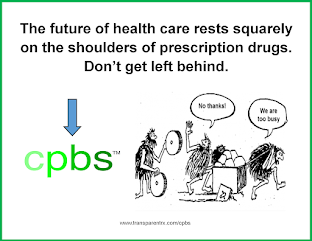 The pharmacy benefits manager Express Scripts Holding Co. estimated that Repatha and similar drugs could cost $100 billion a year retail, given its high price and that 10 million or more Americans would be eligible for the drug. The cost to Medicare would be $27 billion, the Department of Health and Human Services estimated. The promise and high price of Repatha and other drugs, including some gene therapies, has sparked much debate among public and private payers about alternative pricing arrangements, including pay-for-performance and paying in installments. For example, Spark Therapeutics Inc., of Philadelphia, is considering installment payments for its proposed gene therapy to treat blindness, and Bluebird Bio Inc., of Cambridge, Mass. is in discussions with insurers about alternative payment plans. “Agreeing to pricing models that align payment with appropriate outcomes is critical if we are to better manage increasing drug costs. We take very seriously our responsibility to ensure that the dollars we spend on health care are used wisely and give our members access to the highest quality care,” Michael Sherman, HPHC chief medical officer, said in the Nov. 9 announcement. Novartis AG announced July 8 that it would offer a pay-for-performance discount to all U.S. insurers for its new drug to treat heart failure, Entresto. An Entresto prescription costs about $4,500 per year. A Novartis official predicted at the time that the industry would move toward more pay-for-performance arrangements. Repatha is one of a class of new cholesterol busters called PCSK9 inhibitors that work differently from previous cholesterol-lowering drugs. The PCSK9 drugs inhibit a protein that blocks the body's ability to clear bad cholesterol from the blood. Repatha is given by injection, two to four times a month. Research has associated high levels of LDL cholesterol with a higher risk of stroke and heart attack.